It’s that time of the year again. The biggest names in tech and press have been flooding Las Vegas, NV all weekend to prep for the largest consumer tech trade show on the planet, CES 2015! So far #TeamSpeck has been hustling to get our larger-than-life booth ready for tomorrow’s official start to the show, but for now we’ll take a look at the top stories you’ll see on the floor this year. Over 3,500 companies are geared up for Press Day today, featuring the year’s top technology trends like advanced televisions, self-driving cars, fitness and smart wearables (but we’ll still have to wait a while for the Apple Watch), and yes, robots. Patrick Moorhead of Moor Insights told ABC News that “he expects the driving trend this year will be ‘connected everything‘.” This means more devices connecting to each other, easier shareability of data, making the things you love to do that much more convenient. Yahoo Tech says that we can expect to see “thinner devices, more use of wireless technology, and a focus on mobile and transportation.” Their authors talk about this type of technology both in and out of home, even hinting that some sort of virtual reality similar to the Oculus Rift headset may make an appearance. Plus, some of this at-home technology could even make “many onerous home chores revamped into an automated Jetsons-like home.” Who wouldn’t be pumped for that? Many televisions we’re seeing are now offered in 4K, meaning they stretch 4,000 pixels wide, providing an incredible resolution. Yahoo says the cherry on top to these new designs are “lower price points and more design options,” and we may see some of these with HP- with a few curved models, as well, according to CNET. 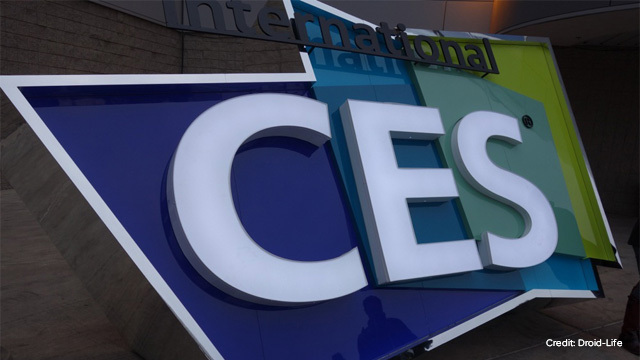 Stay tuned to Speck Buzz for all of your CES 2015 news, plus- keep tabs on how the Speck booth is looking! A few of our favorites, TechCrunch, Engadget, and Digital Trends, are also reporting from the ground hour-by-hour. Psst… See how our booth looks so far!